Vishal-Shekhar (V-S) has always been consistent when it comes to foot tapping 'Youth Catering' tunes in tandem with some melodically rich compositions. 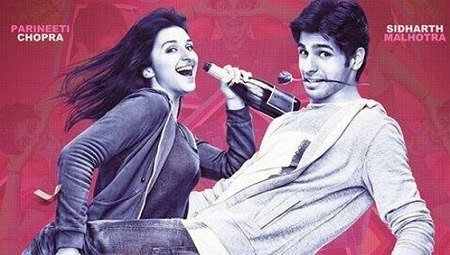 Fresh from the success of "Chennai Express" and "Gori Tere Pyar Mein" last year (although both these soundtracks were never close to the standards set by V-S with just one or two good songs), the composer duo starts off 2014 with "Hasee Toh Phasee" where Amitabh Bhattacharya and Kumaar (Lyricists) does the job of penning the lyrics. Also, considering the V-S past successful record spree with Dharma Productions, there are very good expectations from the soundtrack, with six compositions, let's see what this New Year has to offer! At the very onset "Punjabi Wedding Song" straightaways stays true to its genre and starts with Dhol beats where the Hinglish lyrics by Amitabh Bhattacharya takes the proceedings forward with Sunidhi Chauhan and Benny Dayal's perfectly suited energetic vocals. It's a tribute to Bhangra and Punjabi Wedding's which will certainly find its place in this coming wedding season if promoted heavily and if that is the case, it may very well replace the hit number 'Mehfil Tan Sajdi'. Although at some places the song gives a déjà-vu feel, especially from 0:41 to 0:50 and the hook line which very minutely reminds of 'Ishq Karke Tujhse Deewana Betaab Hua, Barbaad Hua, Bhool Gaya Apna Bhi Naam, Jab Naam Tera Ise Yaad Hua' - Billo Raani from the movie Goal..Anyone? Nevertheless, it makes a good start for the soundtrack. Yesteryear superstar Shammi Kapoor had a certain dance style of his own which has become a Brand as of today, the next track "Shake It Like Shammi" is a homage to his (Shammi Kapoor) dance style and is going to be a rage in no time. The infectious orchestra/arrangements is the main highlight of this track which creates a fantastic retro environment alongside Benny Dayal's natural stylish renditions which always brings a magical charm to such compositions. Vishal Dadlani adds that extra zing with his English vocals in the first interlude where Amitabh Bhattacharya writes foot tapping fun-filled lyrics (yes lyrics can also be foot tapping), rest assured, this one is sure to rule the charts and would be really interesting to see Remo D'Souza choreograph this one, especially the hook step. Chart scorcher! The song that has been playing on for quite a few days...”Drama Queen" wins brownie points courtesy some innovative work by Amitabh Bhattacharya who brings on a certain fun element with his writing. The song throws light on the character of the female lead in the movie and is going to be hit among the masses and will be a must in the wedding celebrations festivals. Shreya Ghoshal's innocence voice and Vishal Dadlani vociferous renditions makes up for a good combination and the outcome is a foot tapping number that will instantly click with the youngsters! After three peppy dance numbers, the soundtrack takes a U-Turn towards melodically lyrically heavy tunes...”Manchala" starts off with saxophone arrangements and later brings on a soft-rock flavor. Shafqat Amanat Ali croons this one with ease and debutant Nupur Pant impresses with her fresh voice, Amitabh Bhattacharya once again instils creativity with his work where the hook line deserves your time: 'Manchal Man Chalaa Teri Ore’, i.e. The Mad Heart Goes Towards You, what is noticeable here is the use of word 'Manchala' which sounds same but has different meanings as described above..Beauty! Overall, the song makes up for a good hearing although nothing much special! Chinmayi Sripaada ('Titli' and 'Main Rang Sharbaton Ka') join hands with Shekhar Ravjiani for "Zehnaseeb" which starts off with an 'Amit Trivedi Territory' prelude and results in an intoxicating composition which grows immensely on repeated hearings. Close to three and half minutes, the song creates a soothing aura beautifully interwoven alongside Amitabh Bhattacharya's lyrics which transports the listeners into a world of pure love and emotions. Chinmayi continues to impress and the more said is less for the talented Shekhar who always casts a magical spell with his mellifluous voice. Amazingly Sweet! Piano riffs sets the mood for best of the lot...”Ishq Bulava" where Sanam Puri shows his versatility from a foot tapping 'Dhatt Tere Ki' (Gori Tere Pyar Mein) to this beautiful engaging soulful track with minimal orchestra. His voice is fresh and at the same time has an altogether different texture and depth if compared to the likes of K.K and Shaan, another debutant Shipra Goyal gets an opportunity and fares pretty well with her part although only for few lines. The Punjabi-Hindi lyrics by Kumaar results in a good experiment which is easy to grasp and sounds different from the usual romantic numbers. Verdict: Refreshing and Ravishing! 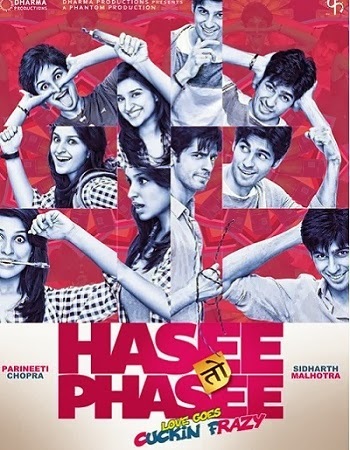 To sum up, "Hasee Toh Phasee" scores in every department with some dance numbers to a situational number to some melodically lyrically heavy tunes. It's always good to see fresh debutants (singers) being given an opportunity. Vishal-Shekhar opens their 2014 account in style; 'Drama Queen' is already a hit, 'Shake It Like Shammi' is a chartbuster in the making whereas 'Ishq Bulava' and 'Zehnaseeb' will surely finds its own set of listeners and surely gain a certain shelf life! The soundtrack will make its presence felt at the top 10 chart until 'Gunday' (Sohail Sen) and 'Highway' (A.R.Rahman) starts off their journey!